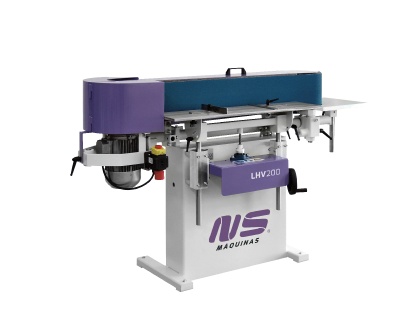 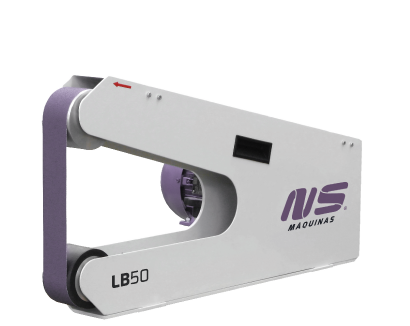 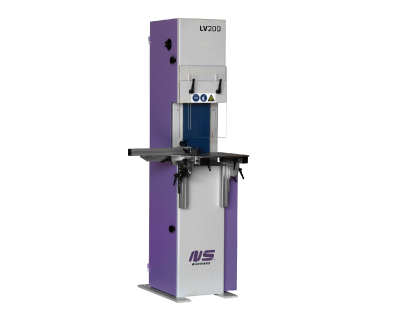 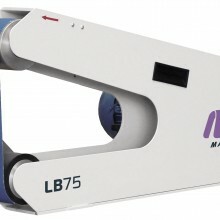 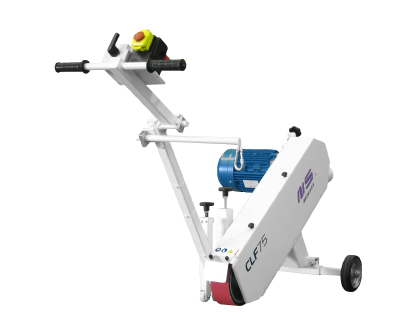 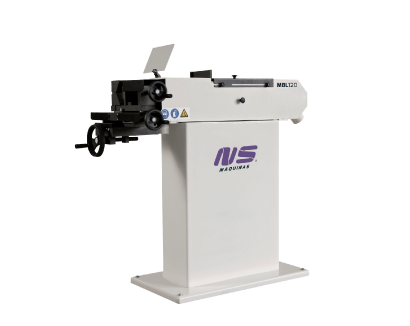 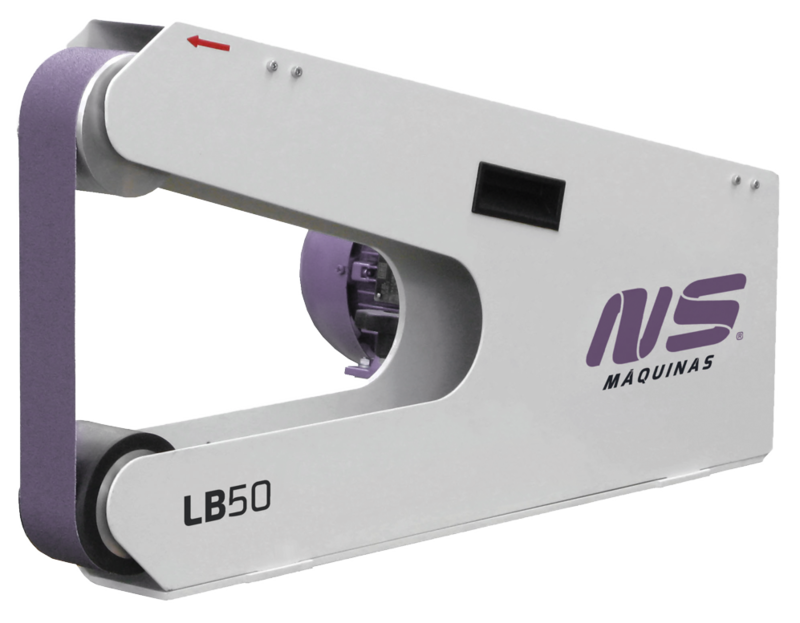 Flexible and useful work bench finishing machines. 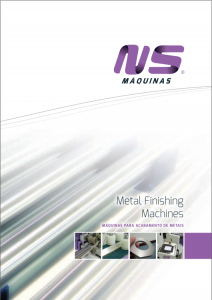 Ideal for finishing, weld seam polishing and deburring of tubes or machines parts. 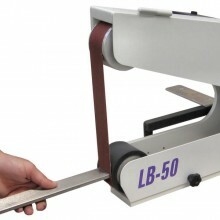 Available in 50mm (LB50) and 75mm (LB75) abrasive widths. 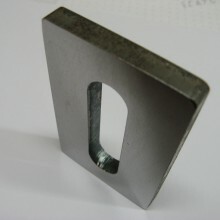 The flexible abrasive belt section adapts to the shapes of the material and is particularly efficient in deburring jobs. 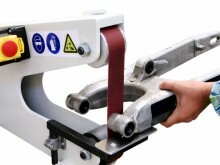 The hard contact roller is used for material removing or weld seam grinding. 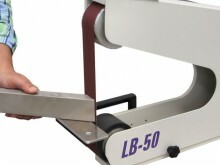 Finishing tubes can also be done with LB contact roller. 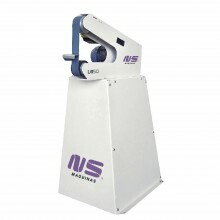 Guiding table for more accurate support. 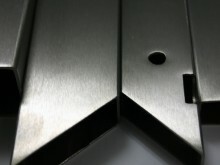 Grinding and deburring tube extremities or small parts. 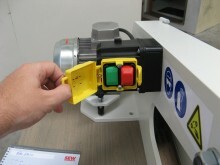 The machine has a main switch (on/off) and an emergency button.